Become king of the road and master all levels! In this racing game, it's all about your skills - navigate your way through heavy traffic at full speed. Dodge cars and avoid accidents at all costs. Keep an eye on other vehicles changing lanes and use gaps to your advantage. If you get hit more than 3 times, the game is over. Can you beat all levels with 3 stars? 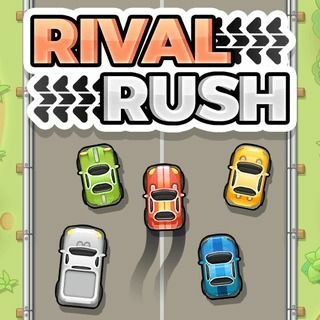 Rival Rush - Find Rival Rush in our vast HTML5 games catalogue. Only the best and newest HTML5 games for all audiences. Guaranteed success with Famobi.